Instead of a tip, Albert Einstein once told a delivery boy how to be happy. 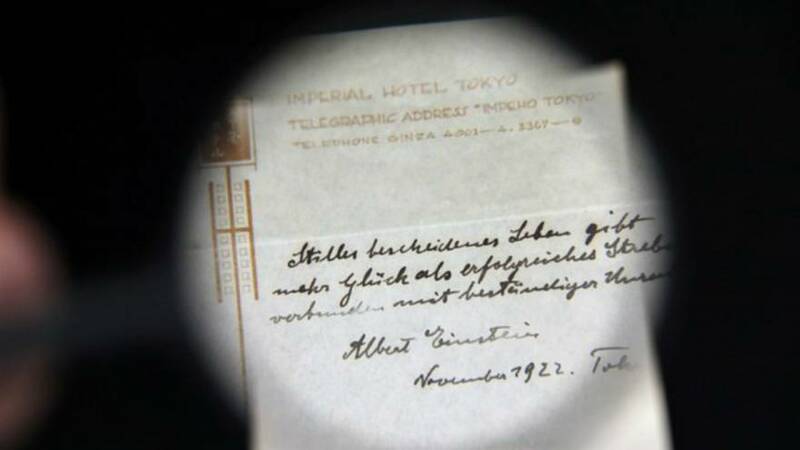 The notes were given to a Japanese bellboy who made a delivery to Einstein at the Imperial Hotel in Tokyo in 1922, shortly after the scientist had learned his work would be recognised with a Nobel Prize. At the time, he told the man that the notes, written on the hotel’s headed paper, could become valuable one day. It turns out he was right as they sold at auction in Jerusalem for €1.3 million and more than €170,000. Neither the buyers nor the sellers were not disclosed.